When most people think of Russia, the capital of Moscow and images of the Kremlin, Red Square and magnificent St Basil’s Cathedral are what usually spring to mind. However, it was the majestic city of St Petersburg where I first stepped foot inside this enigmatic country which is now one of my favourite places in our world, with a distinct beauty all its own; comparable to that of the great European gems of Paris, Rome and Vienna. Winston Churchill once declared that “Russia is a riddle, wrapped in a mystery inside an enigma” – after visiting this amazing land I couldn’t agree more with his statement. 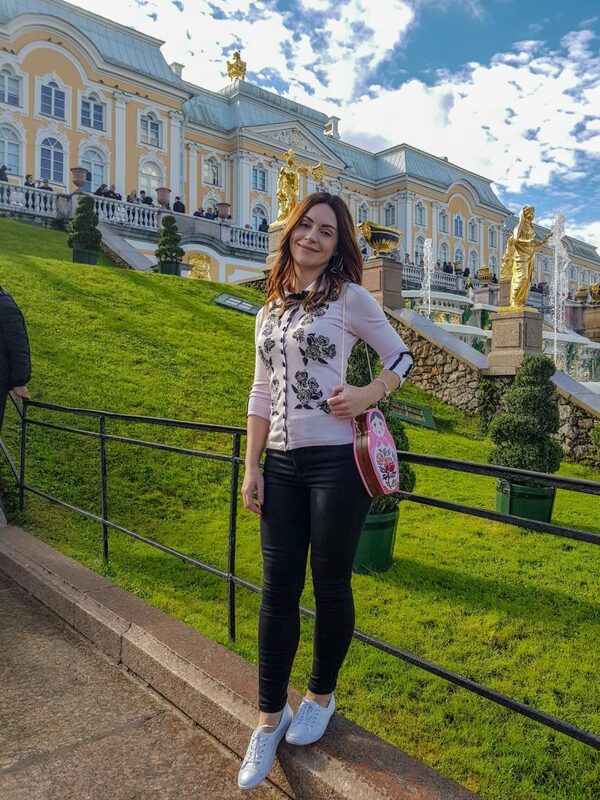 I’d love to show you the beauty and splendour of St. Petersburg through the eyes of an Aussie wanderer – a girl who for most of her life never considered visiting this far away land yet ended up loving it so much she was inspired to start learning the Russian language. 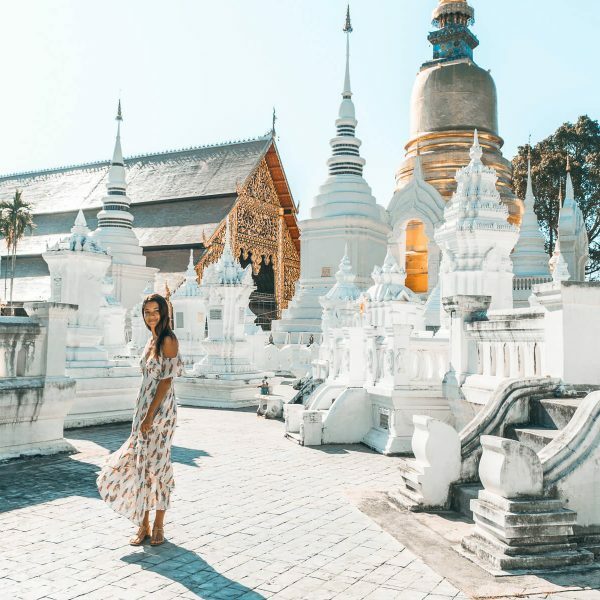 Let’s explore how I ended up halfway around the world and what I consider to be the most awe-inspiring places of this incredible city! Founded by Peter the Great in 1703, St Petersburg has often been referred to as the “Venice of the North” due to the numerous canals. Located on the Baltic Sea, this port city was once was the capital of Russia for two centuries. St. Petersburg is interesting – it has had multiple name changes, from Saint Petersburg to Petrograd in 1914, then to Leningrad in 1924 and reverting to its original name in 1991. As with most great cities, St. Petersburg hasn’t had an easy past – here lies a very deep history such as the catastrophic Siege of Leningrad which lasted over two years in World War II and saw a loss of over 4,500,000 lives. In 2019 St. Petersburg is very much alive, being the second most populous city in Russia, the 5+ million inhabitants enjoy a vibrant haven with a dazzling artistic & creative scene, Instagrammable cafes in which to sip & chill and cultural experiences such as ballet and opera at the famed Mariinsky Theatre. 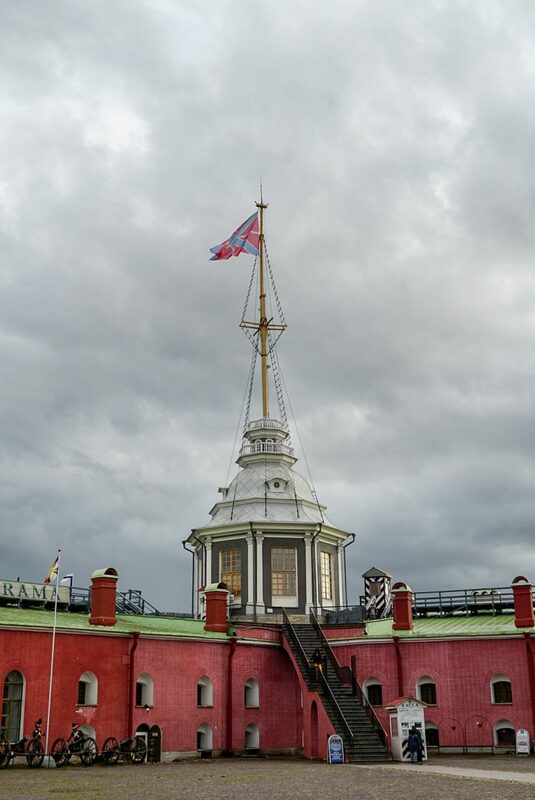 Often the first stop of a city tour in St. Petersburg is the Peter & Paul Fortress. Peter the Great ordered the construction of this citadel in 1703. 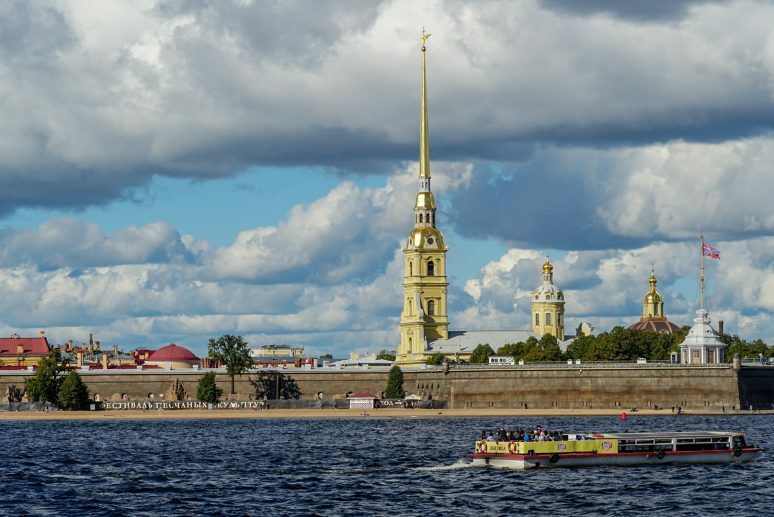 On the Neva river, facing towards the State Hermitage Museum, you will need a pre-purchased ticket to enter this fortified site. 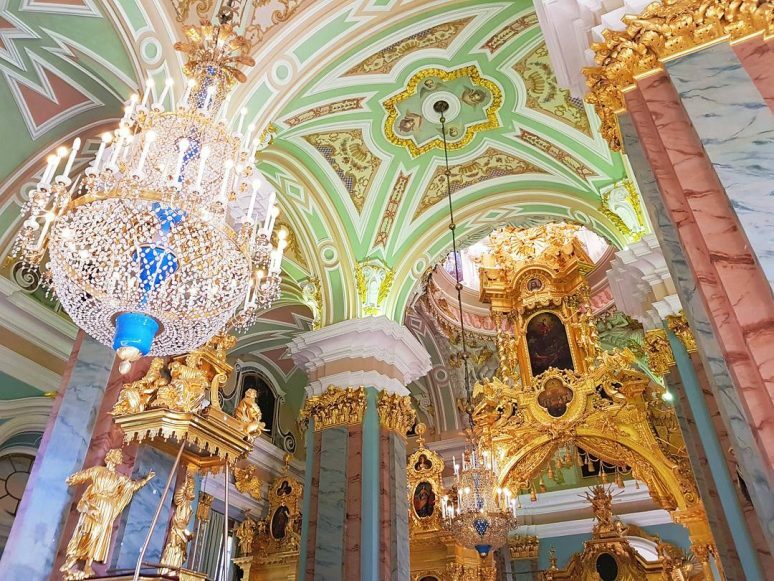 Once inside, there is a lot to explore; the gold-topped belltower of the Cathedral of Saints Peter & Paul shines in the sunlight – and you will also be able to see the Russian Mint as well as a city museum and the Trubetskoy Bastion. At noon each day, there is also the tradition of firing a cannon from the Naryshkin Bastion at the fortress. 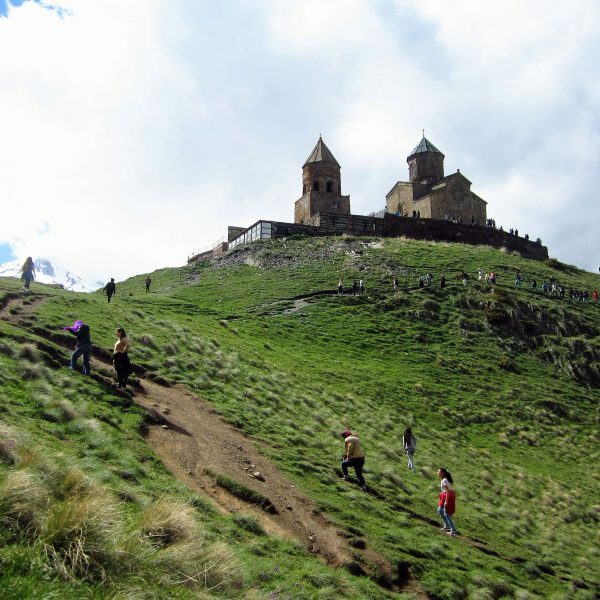 You can purchase different tickets depending upon which parts of the fortress you’re interested in exploring. To view the costs and various exhibition opening hours, head on over to the Fortress’ website which also offers guided tour packages. 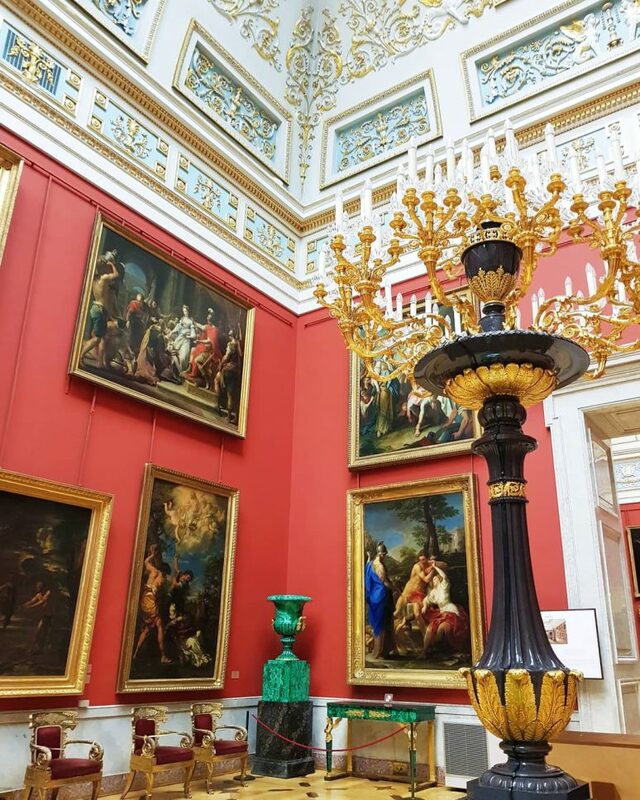 After the Louvre museum in Paris, the State Hermitage Museum is the second largest art museum in the world and my personal favourite. Having visited there twice I would suggest you set aside at least half a day here to wander around the various parts of the museum. Artwork such as “The Return of the Prodigal Son” by artist Rembrandt, sculptures, Egyptian & classical antiquities, the famous gold “Peacock clock”, the Throne room, a gold chapel, military artefacts, royal carriages…everything that you could possibly dream of is located throughout six main buildings of the Winter Palace. Try to pre-purchase a skip the line ticket here to avoid the long lines of crowds and bring your camera. 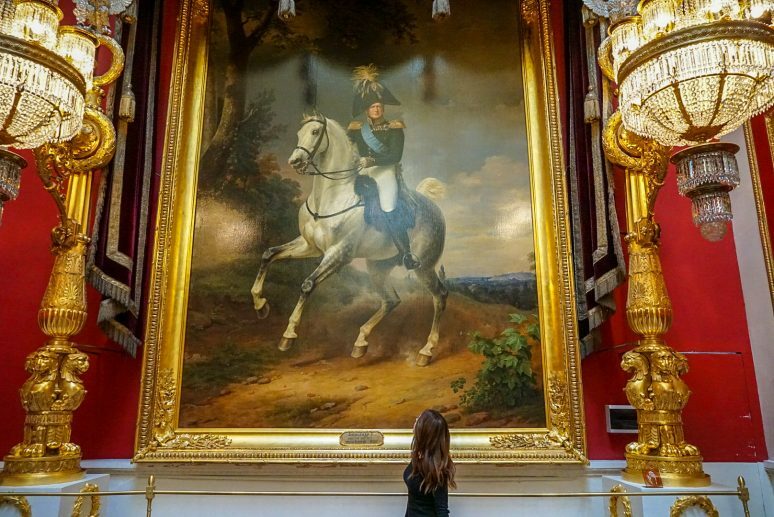 You’re going to want to capture the beauty of this amazing Palace turned museum! 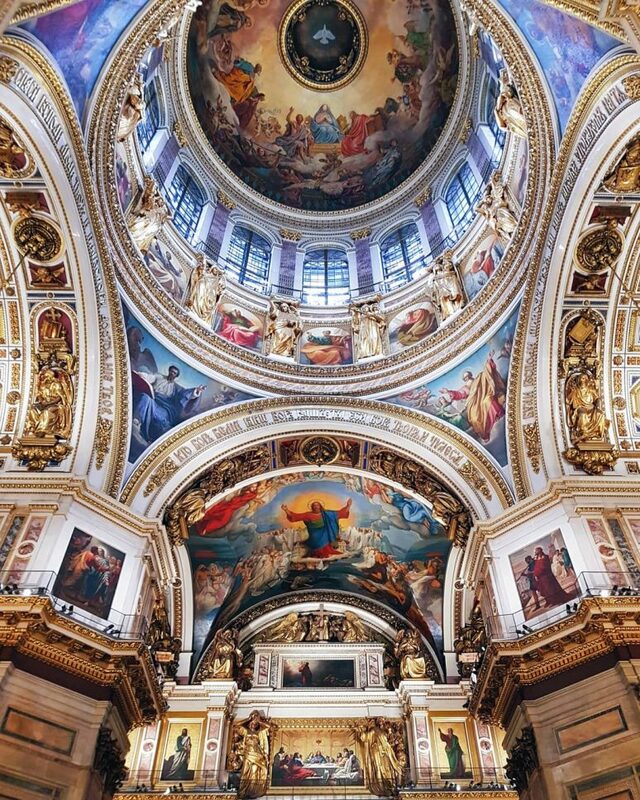 The largest church in Russia, St Isaac’s Cathedral took 40 years to build from 1818 to 1858. The exterior of this Cathedral is imposing, with granite columns (one column displays minute damage from shelling in WWII) and the 333 foot dome is plated in pure gold. It was here at St Isaacs where I confronted my fear of heights; by climbing 300 steps up to the rotunda of the dome and ventured out onto the lookout walkway, where a 360-degree view of the old capital is laid out before you. This requires a separate ticket which you can purchase at the ticket window; the entrance to climb up to the viewing walkway is on the right-hand side of the Cathedral. Up there, amongst the wind, I was able to discover St. Petersburg like never before – to see the pastel buildings, parks and river is utterly spectacular from this height. 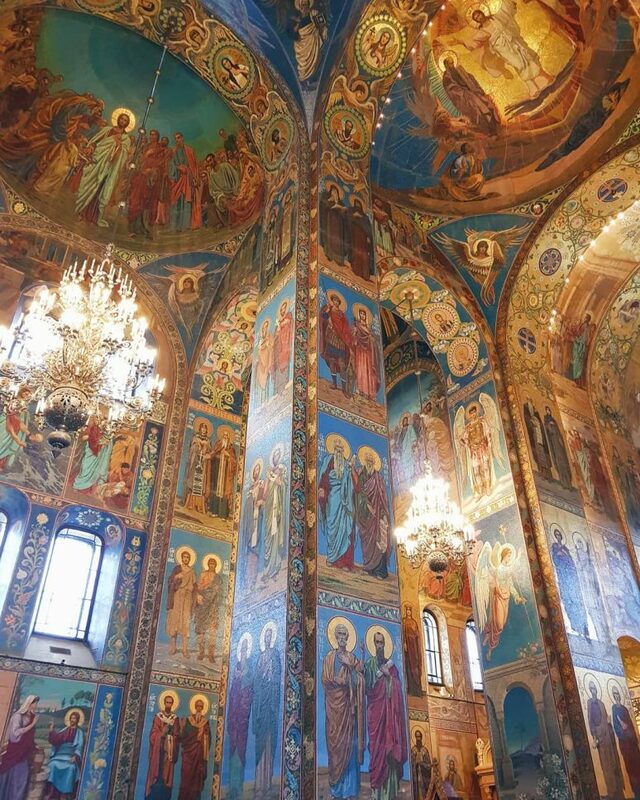 The interior is just as magnificent with giant columns of malachite and azurite bordering the central Iconostasis. Chandeliers inside illuminate the awe-inspiring Russian paintings decorating the Cathedral and the central dome is captivating when viewed from inside. Opening Hours: 10 am to 6 pm (closed on Wednesdays); extended opening hours until 10.30pm from 1 May to 30 September. Apart from Saint Basil’s Cathedral in Moscow, you won’t come close to any other Church representing the Russian Orthodox style as closely as the exterior of the Church of the Saviour on Spilled Blood – with its colourful onion domes, gold accents and opulent exterior façade. The name of the church signifies the location where political enemies murdered Emperor Alexander II in 1881; the Church’s construction was thus ordered by the Emperor’s son Alexander III, and completed during Nicholas II’s reign in 1907. I’d never been a fan of mosaics until I entered this Church and got chills of delight as I wandered around this sacred space now turned museum. With reportedly over 7,500 square metres of mosaics, the religious figures almost glow in reverence to the light streaming through the windows. I truly believe no photo could do justice to the absolute purity of artistic beauty contained in this church. Located at the fortress, this was the first Russian Orthodox Cathedral I visited so it holds a special place in my heart. It is inside this Cathedral where almost all of the Russian Tsars are buried – along with Nicholas II and his family. Photography tip: the colours inside the church change their tones and depth depending upon the amount of sunlight entering through the windows. I first visited on a bright Autumn morning in 2017 and my second visit was on a grey afternoon as a storm was approaching in 2018 – so if it’s sunny out in St Petersburg, then I’d encourage you to stop by this sweet Cathedral to make the most of the beauty if wants to share with you. 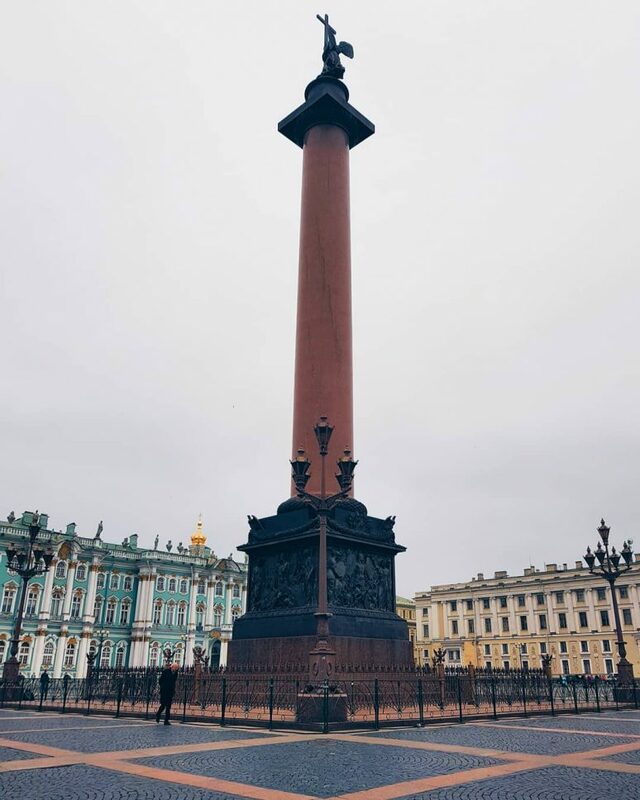 There is no feeling quite like standing in the middle of Palace Square, surrounded by the Hermitage Museum’s Winter Palace, the Building of the General Staff and the impressive Alexander Column (the tallest granite column in the world). This square holds historical significance for St Petersburg and its country, being the location where the Bloody Sunday/Red Sunday massacre occurred. On my last day in St Petersburg in 2018, this is where I shed a few tears knowing my time here on holiday was concluding. About a 45-minute drive out of St Petersburg is the glorious Peterhof Palace. I missed visiting here during my first visit so it was an absolute must see my second time around. Built in 1714, Peterhof was created as a summer residence for the Russian royalty and honours their victory in the Great Northern War. One thing worth pointing out is that, like Schonbrunn Palace in Vienna, you aren’t allowed to take photos inside the Palace. However, you can capture photos of the Palace exterior and gardens which will not disappoint you at all. 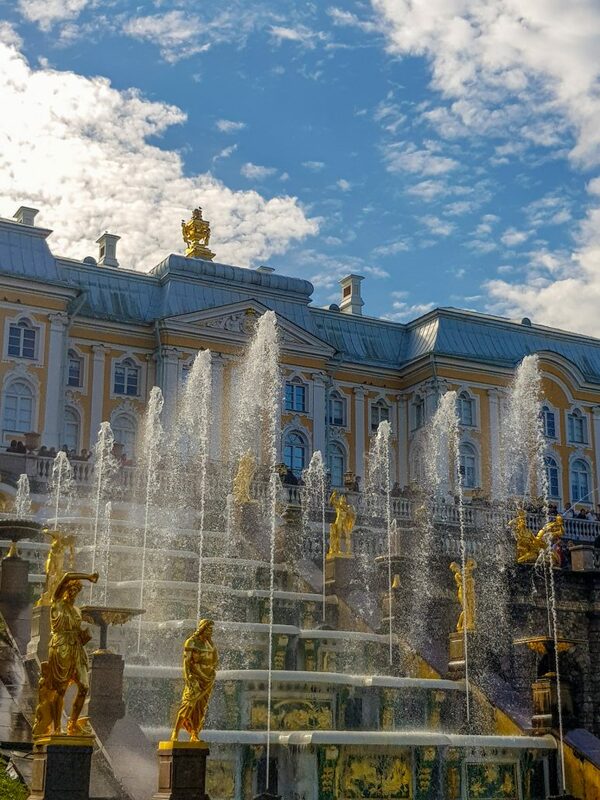 Apart from the giant chessboard hill bordered by statues and intricate gardens, Peterhof Palace has fountains for days; the “Orangery Fountain of Triton”, “Fountain Alley” directly in front of the Palace, “Neptune Fountain” and Adam & Eve Fountains to name a few. Check out the official website for the varying ticket costs and opening times as these change throughout the seasons. Named after the Russian Prince Alexander Nevsky, Nevsky Prospekt is the most well-known street of St Petersburg. Akin to Fifth Avenue in New York or the Champs-Élysée in Paris, there are a myriad of shops, cafes, nightlife, buskers, restaurants and squares to discover. 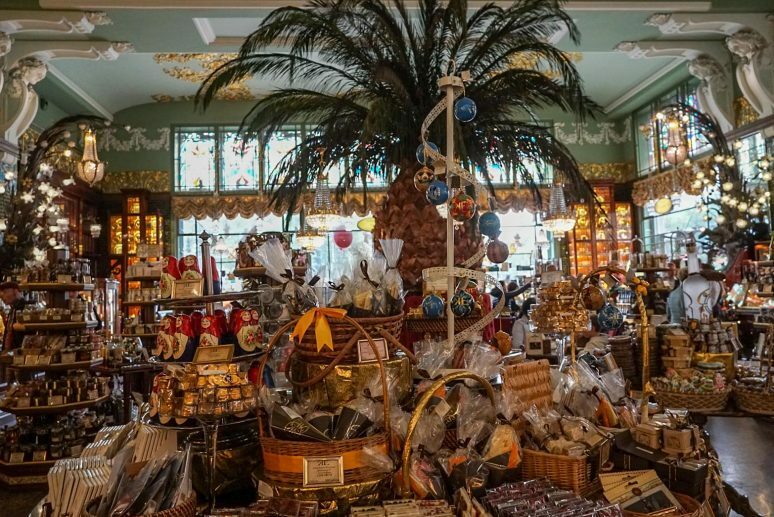 If you are interested in buying edible souvenirs, please do yourself a favour and visit one of my favourite art deco havens – the Yeliseyevy Merchants Store. 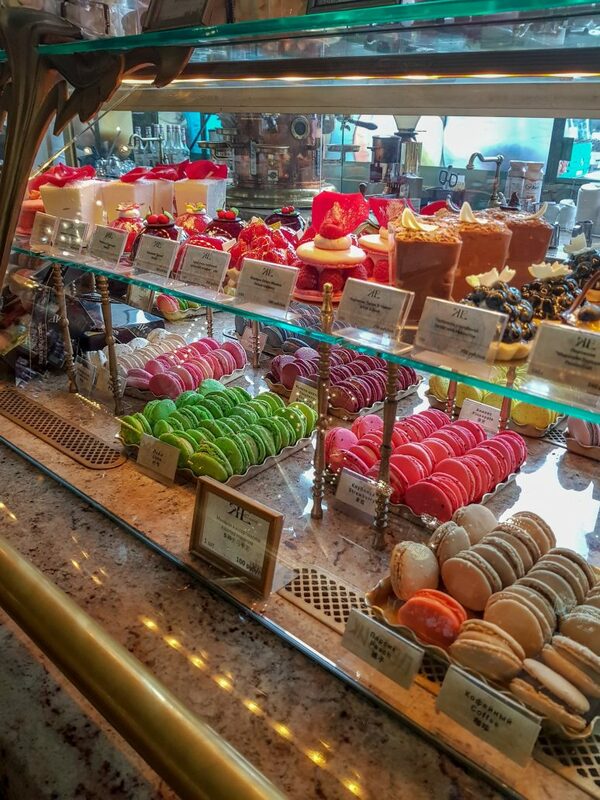 Offering up an assortment of eclairs, macarons, cakes, caviar, lollies, alcohol, biscuits, jams, desserts & handicrafts, I spent about 45 minutes in this gastronomic wonderland just trying to decide exactly what to buy! There is an in-house bakery & café here as well as a piano, so you can enjoy the treats you have bought to the sound of music – hopefully Tchaikovsky (my favourite Russian composer)! Kafe Singer is so touristy but hands down my most revered place to eat in St Petersburg. Also located on Nevsky Prospekt (opposite Kazan Cathedral), on the second floor of the famous “Dom Knigi” bookstore, Kafé Singer offers a selection of coffee, tea, wine and food which are mouth-wateringly delicious. They have Russian and modern cuisine here, so you will have plenty to choose from. 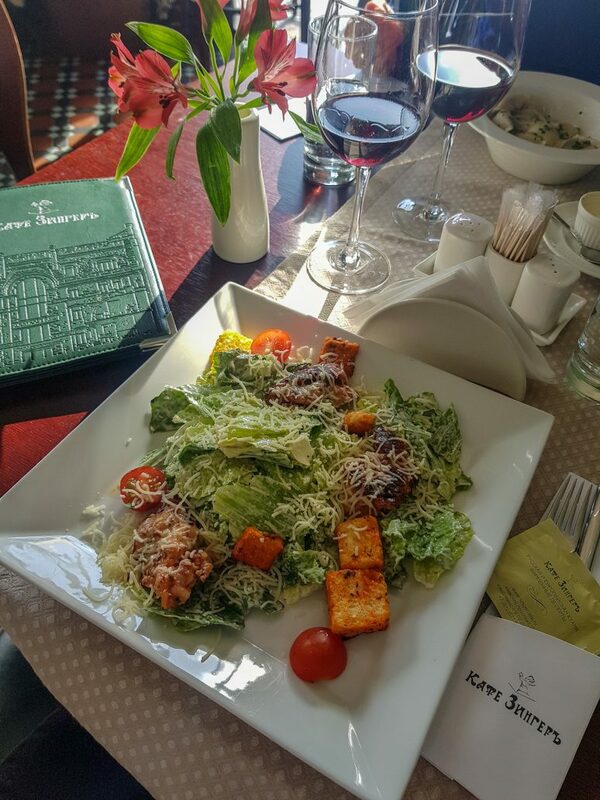 The Caesar salad with chicken was one of the best I have ever tried in my life and the Pelmeni is another great choice if you want to try an authentic Russian dish. I’d recommend you purchase a Russian prepaid sim card because they are very easy to organise and so cost effective. I purchased mine by walking into a Tele2 store – you will need to bring along your passport as well. If you are travelling independently, then having enough data makes the whole Russia experience a lot easier when you can access Google maps and other services on the spot. St Petersburg city also offers up free WIFI which will ask you to log in with your details such as your name and phone number. Prior to my first visit to Russia, I had decided to take a 3-month language course to help me in navigating this far off land. However, as I was on an organised tour and the tour guides oversaw communicating the group’s needs, I found I didn’t really need to use my newfound language skills that much. It was during my second visit in September 2018 where I travelled independently where the knowledge of basic Russian was extremely useful. With any culture, as a traveller, if you attempt to try with their language then the locals will respond to you much more favourably. Even if it’s just knowing how to say ‘hello’, ‘please’, ‘thank you’ or ‘do you speak English?’ – a little effort goes a long way! VISAS AND INDEPENDENT TRAVEL OR ORGANISED TOUR? 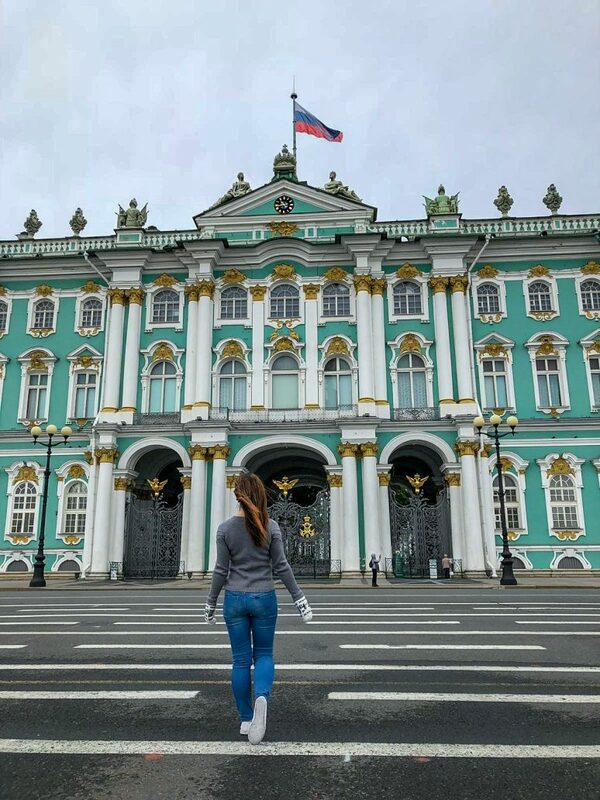 I’ve experienced both modes of travel here to St Petersburg, so my advice is this: if this is your first time travelling to Russia and you feel apprehensive, then go ahead and book a visit with an organised tour group. 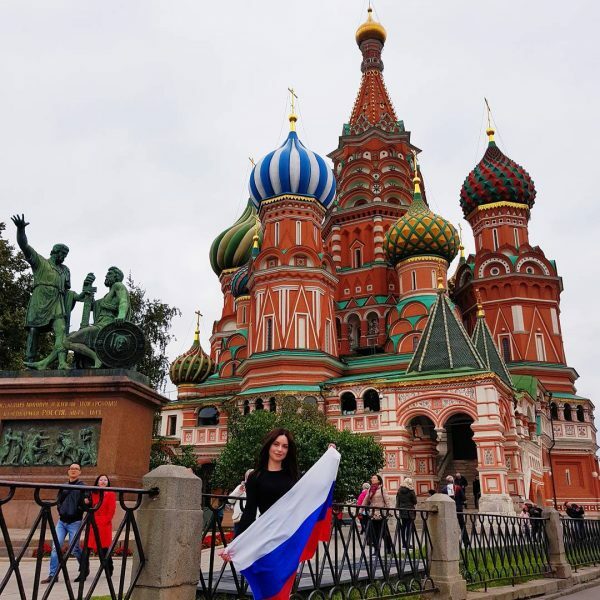 If you are a brave solo traveller conquering the world, travelling with a friend or at the very least know the basics of the Russian language then you can enjoy an independent trip here. Important to note – you will need to organise a Visa to visit Russia. In Australia, it was very easy for me to organise my Visa directly with the Russian Consulate in Sydney; alternatively, you could utilise the services of a travel agent to assist you in the Visa application process. 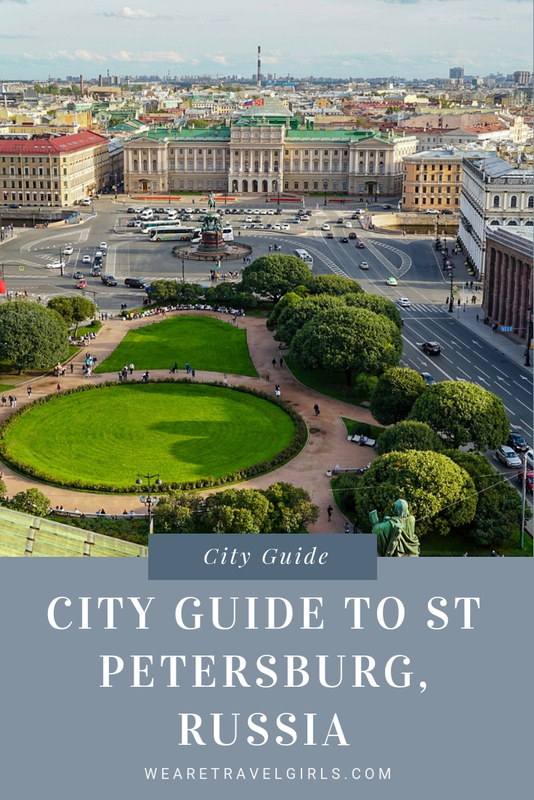 There are many more parts of St Petersburg which we haven’t explored here – I hope you have enjoyed what is essentially a list of my “top 5” places & sights, along with handy tips I’d suggest to anyone visiting this city for the first time! As travellers, we individually have favourite parts of our amazing world, places which touch our hearts & minds, areas that hold what could be thought of as an almost mystical spell over our entire being. The most incredible part of travelling for me is finding a place like this that I never really expected or dreamed of visiting – the city of St Petersburg is my personal mystical wonderland. 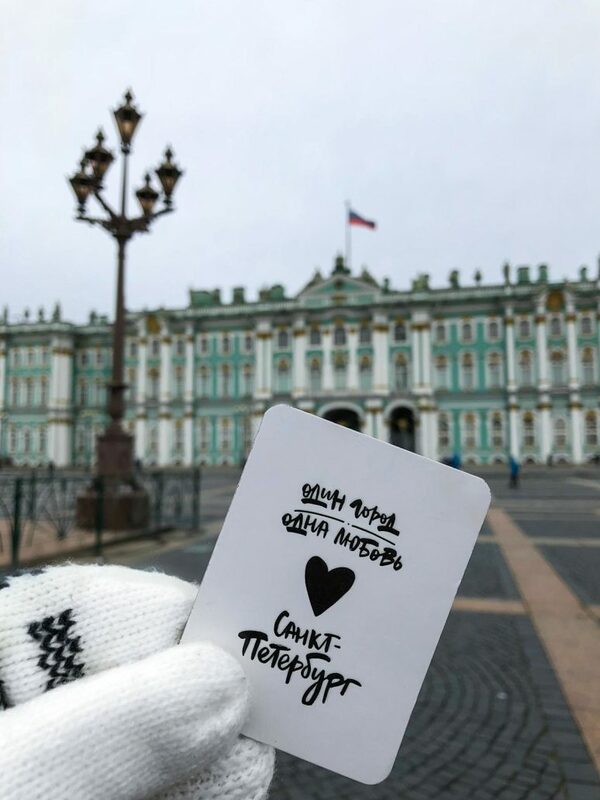 The famous Russian author, Fyodor Dostoyevsky once asked: “But how could you live…and have no story to tell?” Out of all my travelling to date, this unexpected love affair with St Petersburg is by far my most favourite story of all – and I hope it might become yours as well! 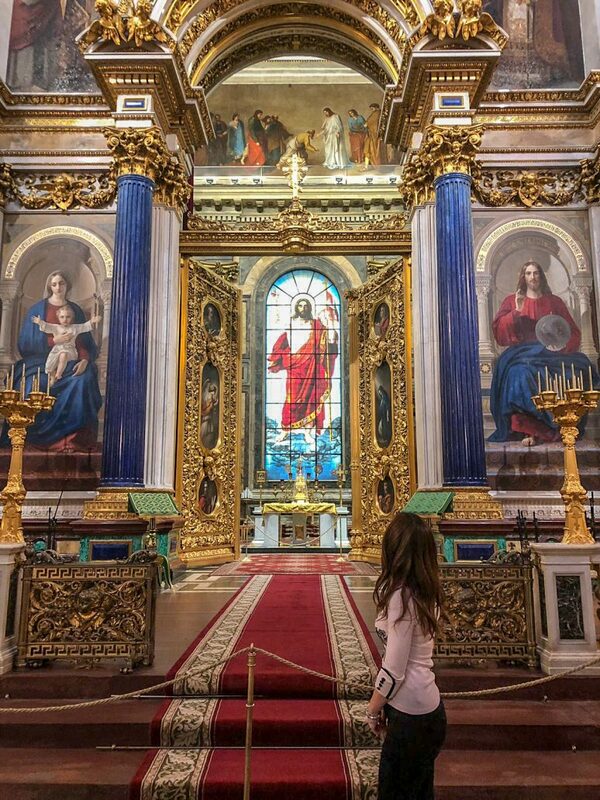 We hope that this article has inspired you to visit St Petersburg, Russia. If you have any questions about the destination or have your own travel tips to share please leave these in the comments below. A great article about beautiful Saint Petersburg. I guess, I will will visit there more or less soon. Hi Lauren, your article describes exactly how I experienced the city. I visited Saint-Petersburg in November, and will be going back next week. Very nice article. Hi Jan, thank you so much for taking the time to comment! I’m so happy to hear you had a similar experience to me as well 🤗 truly such a stunningly beautiful city. Can’t wait to go back one day!